Baxter and Simon receive a special honor from MLSsoccer.com to open the show. Simon makes sure that it is something fans will either love or hate the guys for going forward too! Joining the show this week are Portland Thorns Head Coach Mark Parsons and Houston Dash forward Denise O'Sullivan. Each talk about their journey in NWSL and how their respective teams are fairing this season. 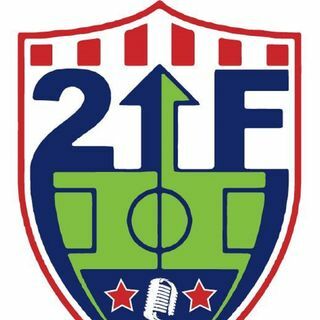 Simon geeks out over US Open Cup talk and even what England should do about the rumors of Jurgen ... See More Klinsmann becoming their new manager. MLS Power Rankings and Predictions close out the show. Want more info about the show? Email us at 2upfrontsoccer@gmail.com or visit our website, www.2upfrontsoccer.com.